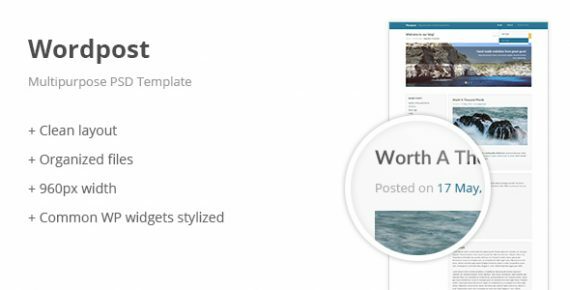 Wordpost is a clean and elegant PSD template, which is perfect suit for your blog, news website, photographers. Is has a big slider on top, where you can place images any for type of your business. 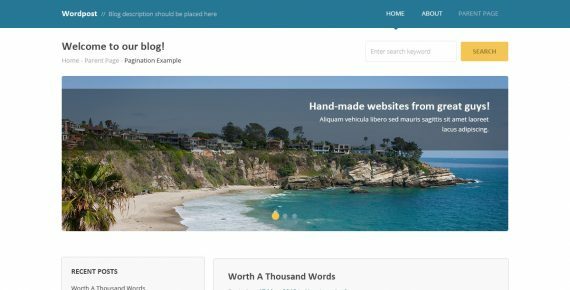 This template was developed for WordPress CMS. Technologies used: 960gs, Adobe Illustrator, Adobe Photoshop, Graphic design.